The previous Kamilah the gorilla story leads us – where else – to the Naked Mole Rat. Addicted Naturists will have read last year that it too had been sequenced. Why on earth would they want the DNA code of the NMR? Maybe part of some fiendish chimeric cloning experiment inspired by The Wind in the Willows – these boffins need to get out more. But wait a minute! Despite the advances that mean genomes can be sequenced in a day, it’s still a complicated and expensive business – so there has to be a good reason for tackling another strain or species, as we saw with the gorillas. But what might that be for the humble NMR? It turns out that NMRs are far more astonishing chaps than even Kenneth Grahame could have imagined. 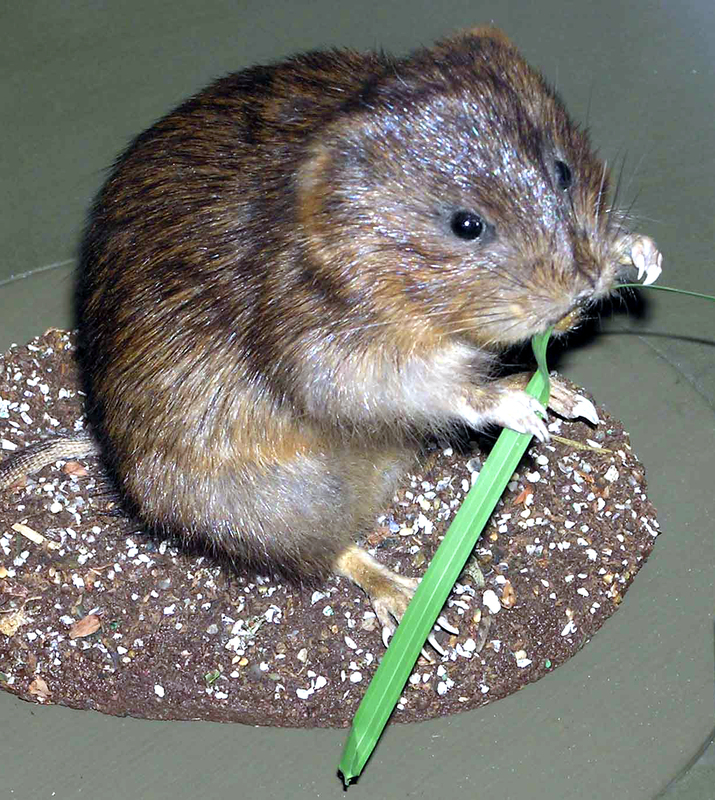 In a way they’re rather well-named, being neither mole nor rat but a distinct species that diverged from rats and mice about 70 million years ago – much as the water vole (aka ‘Ratty’) is only distantly related to a true rat – and it parted company from us 20 million years earlier still. It’s a burrowing rodent so has to get by on low levels of oxygen, which it manages by having very small lungs and haemoglobin that is unusually efficient at picking up oxygen. When times get tough it can reduce its metabolic rate to a quarter of normal, its body temperature follows that of its surroundings, it doesn’t feel pain because its skin doesn’t make the required neurotransmitter, it lives in communes with a queen (the only one to reproduce – like some ants and bees) and it’s the longest-living rodent (over 30 years). How amazing is that for a set of party pieces? But these stunning little tunnelers have one other trick that puts everything else in the shade. NMRs don’t get cancer. At least tumours have never been found in these fellers and if you take some of their cells, make them express a cancer-promoting gene and put them back into animals they still don’t form tumours – even though you get very aggressive growths if you do the same thing with mouse or rat cells. What’s the secret of Naked Rats not getting cancer? So what has the full DNA sequence of the NMR told us? Two genes have come to the fore that are very slightly altered compared with their human counterparts, and they’re of particular interest because we know they play major roles in protecting us – to the extent that they are knocked out in the majority of human cancers. What’s different in the NMR? Perhaps surprisingly, their variant genes make proteins that are just a little bit smaller than the human versions. Surprising because intuitively you might think that bigger would be better. However, proteins are almost incomprehensibly subtle creations – recall that changing just one amino acid out of 1480 in a protein made in the lung is enough to cause cystic fibrosis – and it may be that the slight changes in the DNA code do just enough to the shape of these proteins to make them ‘super’ protectors. The next step is to see what the NMR proteins do when they’re expressed in transgenic mice. None of this means that the NMR is going to save mankind from one of its greatest scourges but it is encouraging that it has focussed attention on some of the key genes that stop us getting cancer. The other upshot is that it has reminded us how extraordinarily delicate is the balance in living things and how the slightest of changes in a protein can have immense effects. Kim, E.B. et al. (2011). 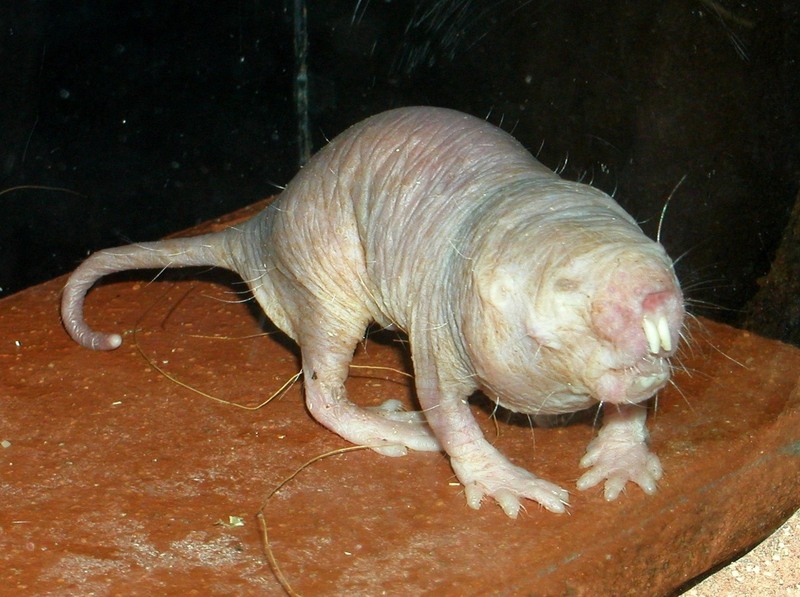 Genome sequencing reveals insights into physiology and longevity of the naked mole rat. Nature 479, 223–227. Book signing at the Cambridge Cancer Research Institute Open Day this week. Dr. Ferdia Gallagher took the photograph and the mickey. Those who are not regular readers of Nature (no, not on the top shelf at your newsagents – the world’s leading science journal) may have missed the fact that, as of March, we have a pretty complete DNA sequence of the gorilla genome – to be precise, of a female western lowland gorilla named Kamilah. ‘Why?’ one or two might ask. The mountaineer George Mallory famously wanted to climb Mount Everest ‘because it’s there’. Had he been a scientist he’d have said ‘because we can’, for science is the art of the possible. The limit to advance at any time is what can be done with the available tools. One or two headstrong souls tried blood transfusions – with disastrous results – before we knew how to detect substances on the surface of red cells that define blood groups. Finding the order of bases in DNA had to wait for Fred Sanger’s insight but that has led over the last 20 years to one of the most incredible technical bursts in the history of science. When the project to sequence human DNA got going the cost estimate was $1 per base: the current figure is one millionth of that whilst the speed at which it can be done has gone up by 10 million!! So the gorilla’s a bargain and the comforting news revealed in its DNA is that chimpanzees are still our nearest relatives: we separated from them, so to speak, 3.7 million years ago but we have to go back to nearly 6 million years to find gorillas going their own way. We’re an evolutionary happy family then, and I’m certainly happy because my ‘other half’ is one of the authors of the gorilla paper. But what has she and her pals unearthed that’s really new? Two things – well, maybe one and a half at the moment. The first is a side-light on the complexity of evolution. It has indeed turned out that for 70% of the genome gorillas are more distant from us than chimps. Remarkably, the remaining 30% of the gorilla sequence is closer to either human or chimpanzee sequences than these two are to each other. One way this could happen is if there were two variants of an ancestral gene (A & B), either or both that could be transmitted to descendants. Suppose that species divergence occurs to give AA and AB, and subsequently AB separates again to give two species AA or BB. The AA sequence will now be closer to that of the species that diverged two branch points ago than it will be to BB, the result of the most recent speciation. That’s a quite interesting quirk of molecular biology. But what about the half thing? That’s data that may be useful – but not yet. Every year nearly one million people die from malaria. We get it when mosquitoes inject us with a microorganism called Plasmodium – and so do chimpanzees and western lowland gorillas. Indeed it seems that the strain of the bug that does the damage first arose in Kamilah’s ancestors and since then the mossies have seen to it that the rest of us suffer too – well, almost all of us – because eastern lowland gorillas don’t get malaria. As their name suggests, they’re close relatives of Kamilah: the western branch lives in Central West African countries whilst eastern lowland gorillas prefer the Democratic Republic of the Congo. And we know they’re closely related because the Nature paper sequenced both and showed that the species diverged a bit less than two million years ago. So the key question is: when the detailed sequences are compared will any clues to malaria immunity be revealed? That will take a bit of time and it won’t fix malaria – but it may be one more small step towards being able to control a disease that kills more people than any other bar tuberculosis, AIDS, heart disease and, of course, cancer. Not another ‘Great Cancer Breakthrough’!!! Since I started writing Betrayed by Nature and this accompanying blog, my take on science reporting in the ‘media’ has undergone considerable change. I guess most of it used to wash over me: now I feel obliged to read it, with a view to making sense of it from the point of view of non-scientists. The dramatic headlines generally fall into two groups – one telling us what not to do/eat, the other revealing how wonderful scientists are. I admitted recently (Whose side are you on?) that as far as the eating, drinking and exercising injunctions go, I’m beginning to side with those who just wish ‘they’d’ keep quite and let us get on doing whatever we want to do. The other group is trickier because there’s almost always some interesting stuff beneath the press rhetoric. The latest ‘Scientists hail revolutionary breast cancer breakthrough’ is a case in point. The media coverage refers to a paper just published in Nature that has applied the formidable power of nucleic acid sequencing methods to a large number of breast tumours. The sheer amount of information generated is almost stupefying and the efforts of folk – called ‘bioinformaticists’ – who make sense of the raw data are remarkable. But the overall message is relatively simple. Like every other tumour, each breast cancer is different at the level of the molecular changes it carries. However, the DNA sequences of genes and the extent to which they are ‘switched on’ to make RNA and protein (‘gene expression’) permit these tumours to be sub-divided into 10 major categories. So is this a ‘Great Cancer Breakthrough’. Not really. It’s a terrific piece of science but it’s just one more small step towards better designed therapies that’s come from using the wonderful methods that have become available over the last ten years or so. Did the guys who did the work use the hyped-up language of Mr. Connor in The Independent? Not exactly. This paper is a stunning technical tour-de-force – but the authors merely sign off with the comment that their work ‘reveals novel subgroups that should be the target of future investigation’.